A recent presentation by Oregon Gov. 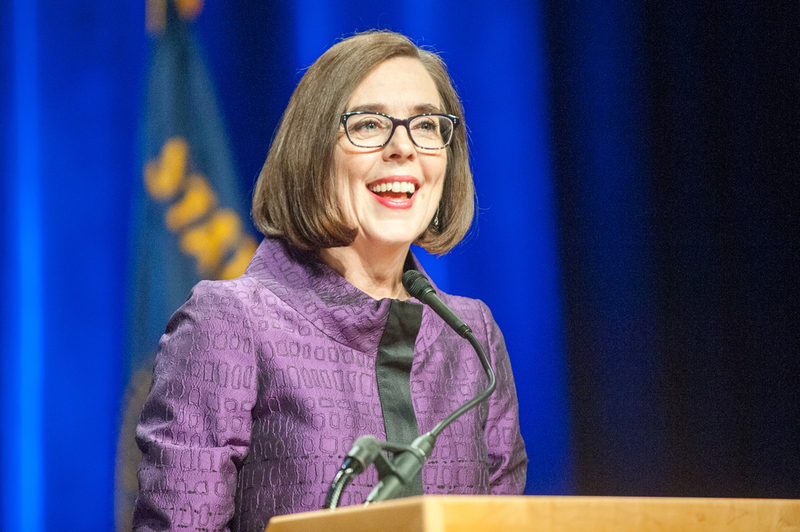 Kate Brown’s (D) administration to the Oregon Board of Agriculture on their “cap and invest” cap-and-trade proposal did not answer many questions on the specifics of the plan, according to a recent editorial from Capital Press. A recent presentation to the Oregon Board of Agriculture on a new “cap and invest” effort under study by Democratic leaders in the Oregon Legislature and Gov. Kate Brown’s administration provided more questions than answers. The presentation did not include answers on any effects the program might have on global temperatures or how much money the plan would cost Oregon residents and businesses. The proposal is expected to be introduced in the Oregon Legislature early next year and would be similar to the cap-and-trade program currently in effect in California. Criticism of the plan has already come from The Bend Bulletin, which cited the expected $700 million annual price tag. Kristen Sheeran, carbon policy adviser for Gov. Brown, said the plan will call for taxing companies that exceed a state limit on carbon emissions. The money generated from the tax is expected to be distributed to companies that stay below the limit on carbon emissions, or be spent on decreasing emissions elsewhere in Oregon. However, Sheeran did not answer specifics on the impact of the plan on Oregon businesses and how much energy costs would increase for Oregonians.